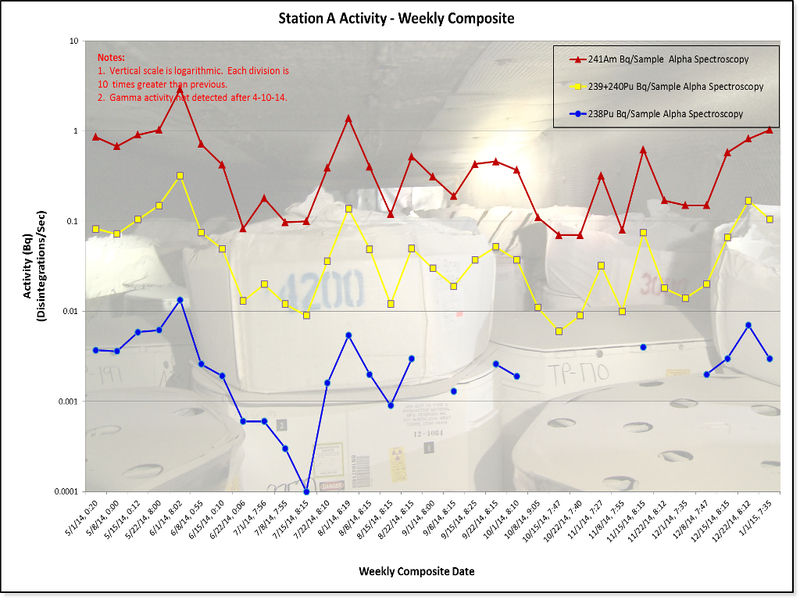 The effluent studies at Station A are a major component of the WIPP Environmental Monitoring (WIPP-EM) program. Sampling operations at Station A provide a way to monitor for releases of radionuclides and other substances in the exhaust air from the WIPP. 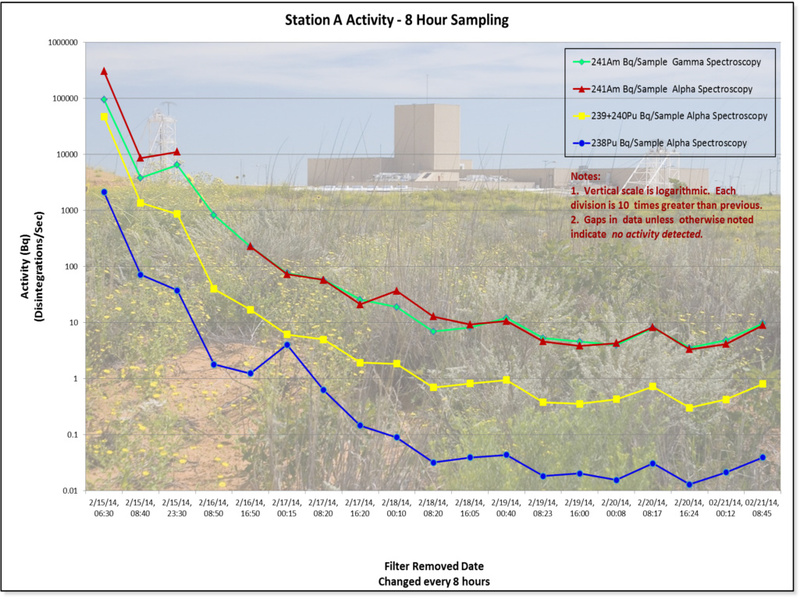 In addition, if radioactive materials were to be released from the facility, detection at Station A would precede observation in the local population or environment. 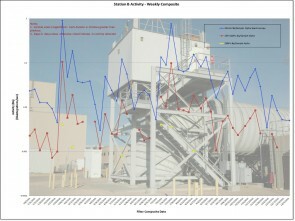 Three organizations: CEMRC, Nuclear Waste Partnership (NWP) LLC, and NMED (New Mexico State Environment Department) routinely collect samples from a Fixed Air Sampler (FAS) which collects particulates from the unfiltered exhaust air at the top of the exhaust shaft (Station A) at the WIPP before the air is discharged to the environment. 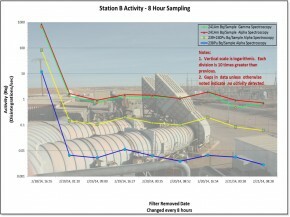 The WIPP exhaust air from the underground is measured by four monitoring stations referred to as Stations A, B, C, and D respectively. 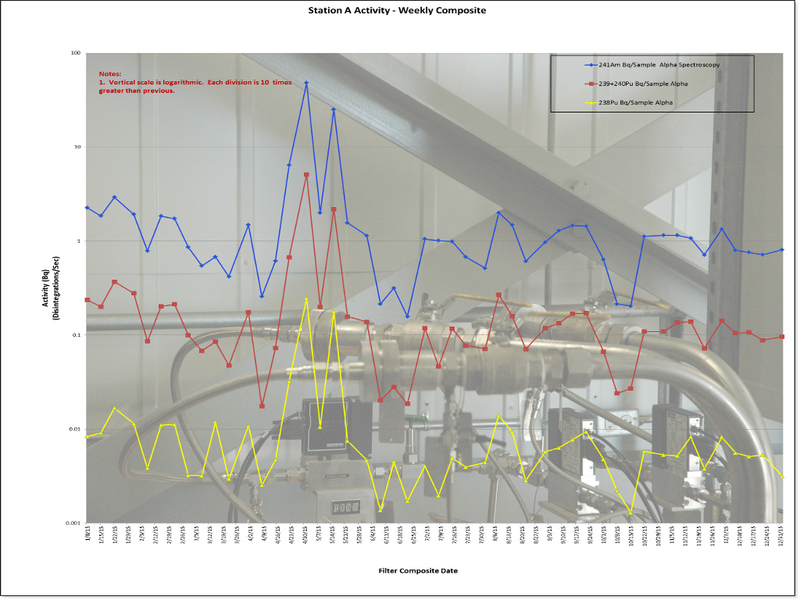 Each station is equipped with at least one skid-mounted particulate air sampler, called a fixed-air sampler (FAS). 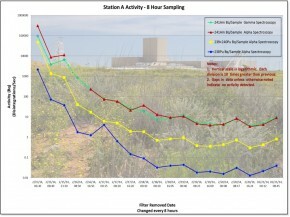 Station A is an above-ground air sampling platform that is shared by several other environmental monitoring groups. 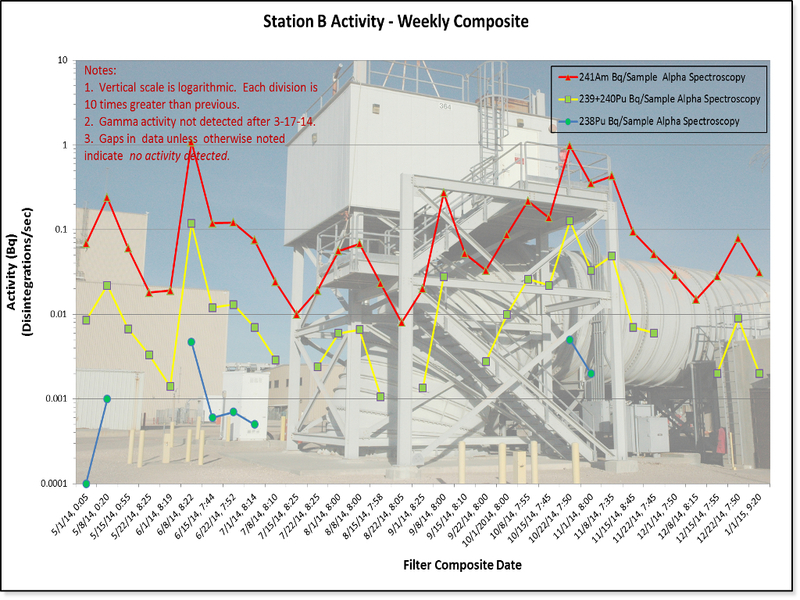 At this station, unfiltered air is exhausted from the repository to the atmosphere. 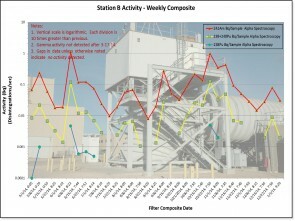 At station B, HEPA (High Efficiency Particulate Air) filters are first used to filter the exhaust from the repository. 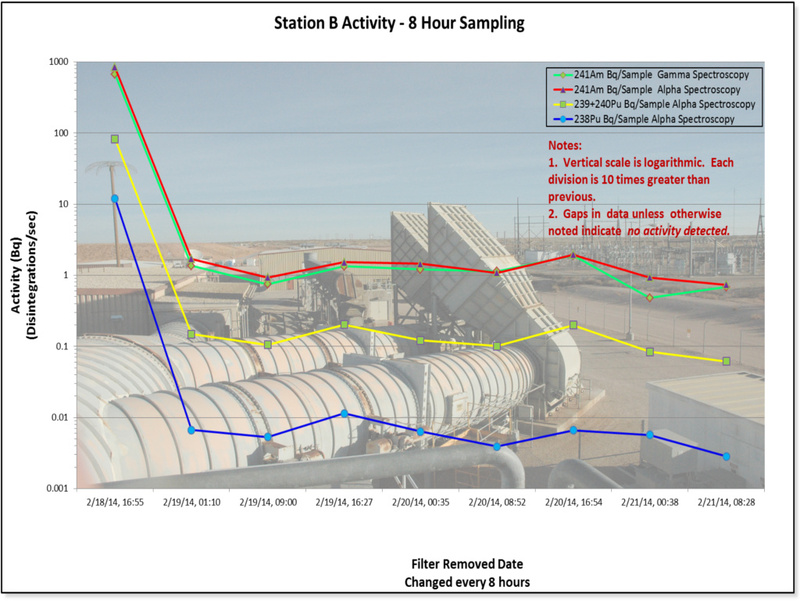 While in filtration mode, stations A and B are mutually exclusive (i.e., when air is exhausted from station A, none is exhausted from station B and vice versa). 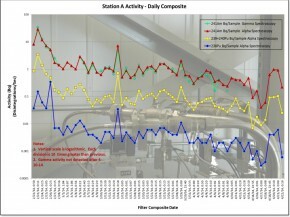 However, both stations A and B sample the same air when operating in the maintenance bypass, reduced, or minimum mode. 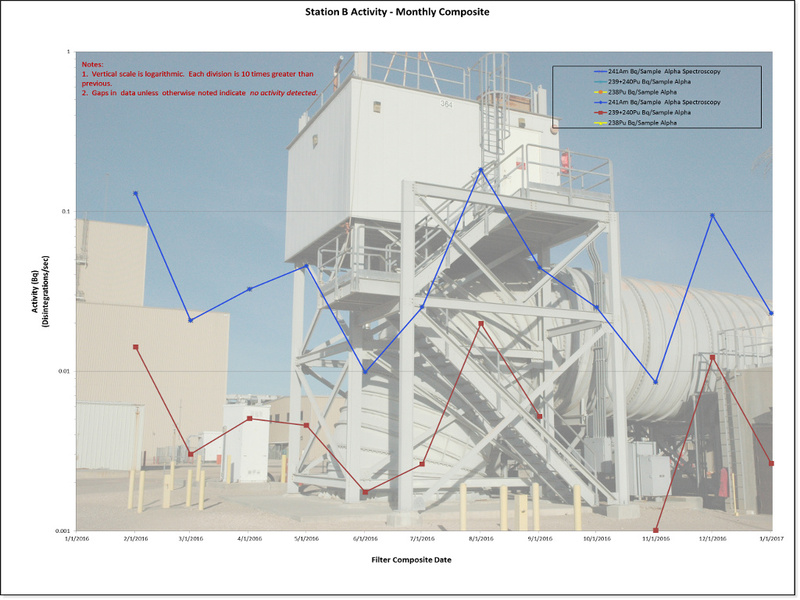 Station C is used to sample the exhaust from the WHB (Waste Handling Building) after the air has passed through a bank of HEPA filters. 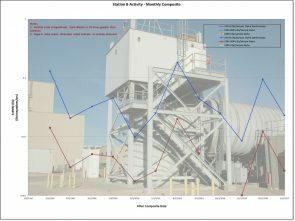 Lastly, station D is located at the base of the exhaust shaft and occasionally serves as a back-up skid for station A. 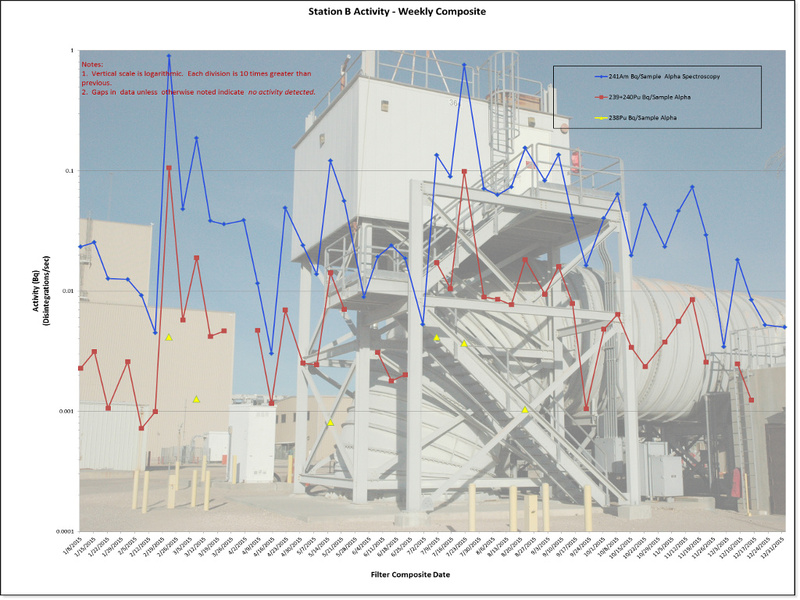 More detailed information about the Exhaust Air Monitoring program is available in CEMRC’s Annual Reports. 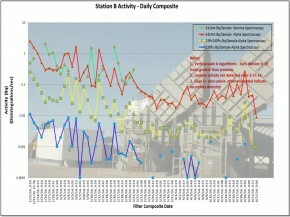 CEMRC routinely collects, analyzes and reports results from Station A filters. 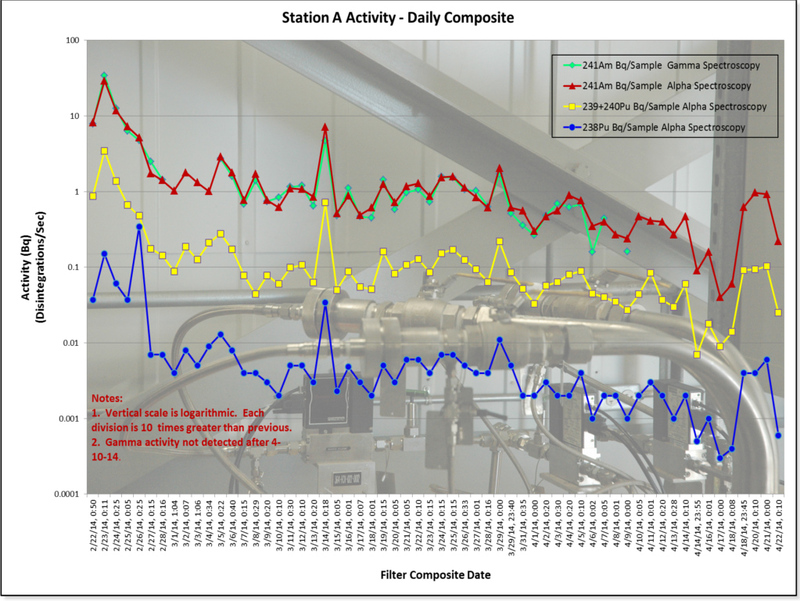 However, since the inception of the release event WIPP has been in filtration mode so filters have been collected from both Stations A and B. The results are presented in both tabular and graphical form. 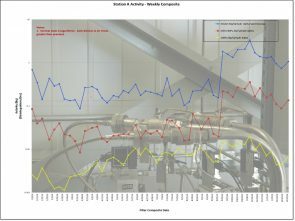 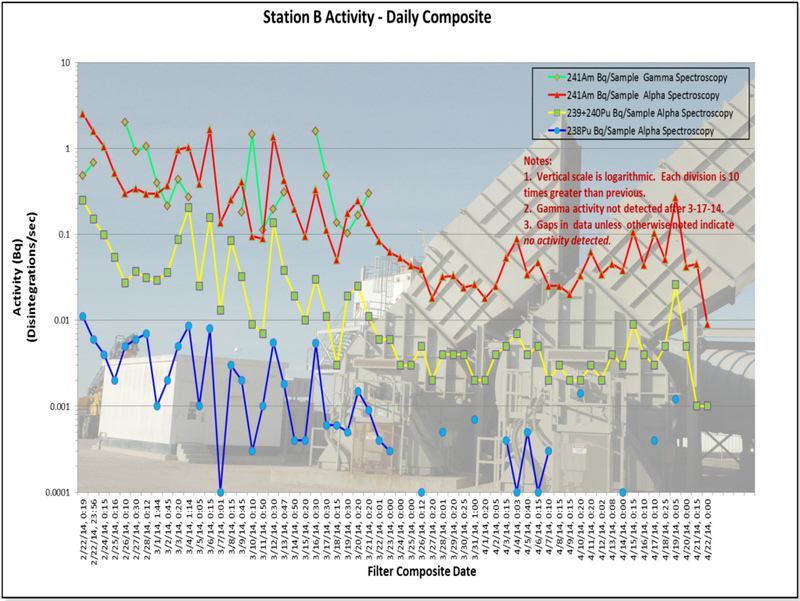 Due to low activity levels at monitoring station B, filters are being composited on a monthly basis. 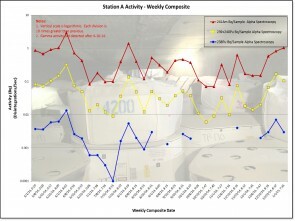 Station A filters continue to be composited weekly.